The antidepressants called selective serotonin reuptake inhibitors (SSRIs) are considered to be first-line agents in the treatment of panic disorder and other anxiety disorders. SSRIs increase the level of serotonin in the brain, resulting in decreased anxiety and inhibition of panic attacks. However, if serotonin levels increase too much, a serious medical condition called serotonin syndrome may result. The human brain is believed to function in a complex chemical environment through various types of neurons and neurotransmitters. Neurons are brain cells, numbering in the billions, that are capable of instant communication with each other through chemical messengers called neurotransmitters. Serotonin is one of these chemical messengers. It plays a role in modulating anxiety, mood, sleep, appetite, and sexuality. Serotonin is also produced in the digestive tract, playing a role in digestion and other bodily processes. Serotonin syndrome, or serotonin toxicity, is a rare, potentially life-threatening condition caused by dangerously high levels of serotonin in the brain. It's generally caused by mixing two or more medications that affect serotonin levels in the brain. SSRIs, SNRIs, tricyclic antidepressants, MAOIs, and triptans are all classes of medications that have been implicated in the development of serotonin syndrome. 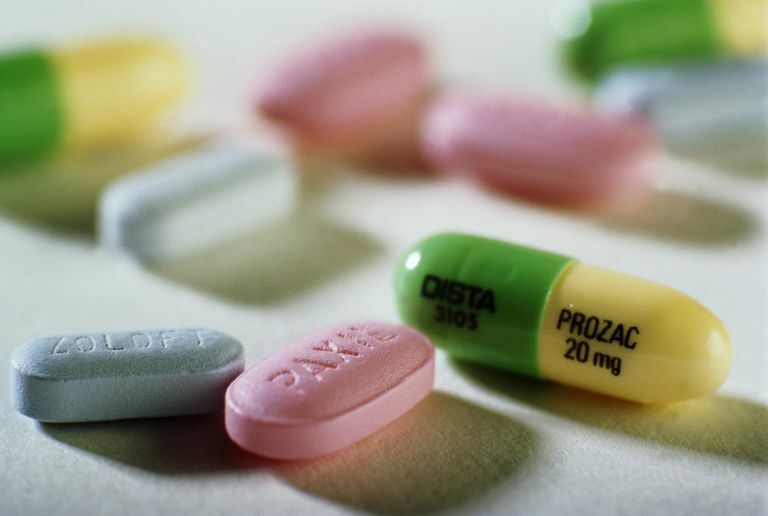 These antidepressants are often prescribed to treat depression and anxiety disorders, including panic disorder. Heart rate and blood pressure control: Medications to decrease heart rate and blood pressure (i.e., esmolol or nitroprusside) may be needed. Medications may also be given if blood pressure is too low. Temperature control: It may be necessary to treat fever symptoms with cooling blankets and bedside fans. Sedation: Anti-anxiety drugs like benzodiazepines may be used to help control muscle rigidity and extreme agitation. Hydration: Intravenous fluids may be needed to address hydration needs caused by high body temperature and sweating. Cyproheptadine: This antihistamine is sometimes used to block serotonin production in the body. It's been shown to reduce the severity of symptoms associated with serotonin syndrome. Tell your doctor about all medications you are currently taking. This includes prescription drugs, over-the-counter medications, and supplements. If you're taking a medication that affects serotonin levels, talk to your doctor about your risks for developing serotonin syndrome. Seek immediate medical care if you're taking a medication that affects serotonin levels and you develop any of the symptoms of serotonin syndrome. Evans, Randolph. The FDA Alert on Serotonin Syndrome With Combined Use of SSRIs or SNRIs and Triptans: An Analysis of the 29 Case Reports. MedGenMed. 2007; 9(3): 48. Frank, Christopher. Recognition and treatment of serotonin syndrome. Can Fam Physician. 2008 Jul; 54(7): 988–992. Prator, Bettina C. Serotonin Syndrome. Journal of Neuroscience Nursing. April 2006. 38(2):102-105. Should You Take Benzodiazepines to Treat Anxiety? How Does Zoloft (sertraline) Treat Panic Disorder? What Are the Treatments for Agoraphobia?